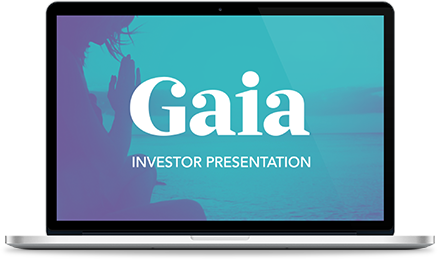 Gaia, Inc., was incorporated under the laws of the State of Colorado on July 7, 1988, is a global conscious media and community company that operates a global digital video subscription service that caters to a unique and under served subscriber base. Our digital content library of over 8,000 titles is available to our subscribers on most Internet-connected devices anytime, anywhere commercial free. Our subscribers have unlimited access to a vast library of inspiring films, cutting edge documentaries, interviews, yoga classes, transformation related content, and more – 90% of which is exclusively available to our subscribers for digital streaming. Our mission is to create a transformational network that empowers a global conscious community. Content on our network is currently curated into four channels, Seeking Truth, Transformation, Alternative Healing and Yoga, and delivered directly to our subscribers through our streaming platform. We curate programming for these channels by producing content in our in-house production studios with a staff of media professionals. This produced and owned content currently represents about 80% of total views. We complement our produced and owned content through long term, predominately exclusive, licensing agreements.